If you have PCOS and already get pregnant (with or without treatment) – congratulations because some women with PCOS cannot get pregnant even after treatment. 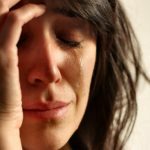 Now that the stress of achieving conception is behind you, you may already be concerned about the next stage, the pregnancy itself. 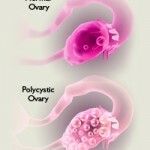 It is important to know that PCOS pregnancy does not always progress without complications. 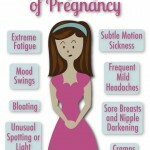 There are several factors for special attention and for special monitoring during PCOS and pregnancy. It is possible for a woman with PCOS to have healthy and successful pregnancy. Women with PCOS who become pregnant may experience more health problems than the general population. Chances of carrying a baby to full term and chances for having healthy baby depend on the severity of your PCOS, your own state of health, treatments you receive for getting pregnant and the treatment you receive during pregnancy. Sometimes pregnant women with PCOS should take extra care to assure safe pregnancy and joyful delivery. For women with PCOS, getting pregnant, staying pregnant and having a healthy pregnancy can be challenging. Blood clotting disorders during pregnancy. Most common complications in PCOS pregnant women are Gestational Diabetes, Pregnancy-induced high blood pressure and Miscarriage. Gestational diabetes is a condition characterized by elevated blood sugar levels during pregnancy. In general the gestational diabetes affects only 3-4% of all pregnant women – if gestational diabetes is identified during pregnancy, it means pregnant woman have high chances for having PCOS. Overweight and/or obese PCOS women have much higher risk of gestational diabetes especially those women who had infertility treatments before getting pregnant (mainly for stimulation of ovulation). Gestational diabetes can cause the baby to grow too big, which in turn can bring on pre-term birth and necessitate a C-section. Having too much insulin can also cause blood clots in the placenta. 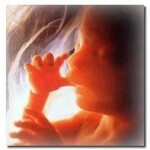 This deprives the baby of vital nutrients and can lead to miscarriage or stillbirth. Women with PCOS should take necessary precautions in early stages of pregnancy and do some laboratory tests (screening) for the possibility of gestational diabetes. In general hypertension (increased blood pressure) is an important indicator to monitor during any pregnancy. It is becoming more important for PCOS pregnant women because women with PCOS could be more prone to hypertension during pregnancy. If before getting pregnant a PCOS woman had borderline or high blood pressure, it is more likely to develop hypertension during induced pregnancy. 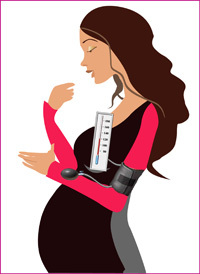 Blood pressure monitoring is very important during whole pregnancy in women with PCOS. According to official statistics women with PCOS and induced pregnancy have higher frequency of miscarriage than women without PCOS. Healthy women without PCOS have an average of 15-25% chance of miscarriage compared to an average of 45-50% for pregnant women with PCOS. The hormone imbalance that occurs with PCOS is partially responsible for the higher incidence of miscarriage. High insulin levels in women with PCOS can interfere with the normal balance between clotting factors in the blood and the promotion of normal clot break down physiology. High insulin contributes to increased blood clotting where the uterine lining and the placenta meet. This clotting can lead to a placental insufficiency. Placental insufficiency occurs when the placenta fails to supply the necessary nutrients and remove toxic waste to and from the fetus. This insufficiently can lead to miscarriage. It is important to highlight that despite of high risk for miscarriage in PCOS pregnant women, several steps can be taken to prevent miscarriage and end up with mature healthy pregnancy and delivery.